This post may contain affiliate links (I earn a small percentage of the sale at no additional cost to you). Please read our disclosure policy here. 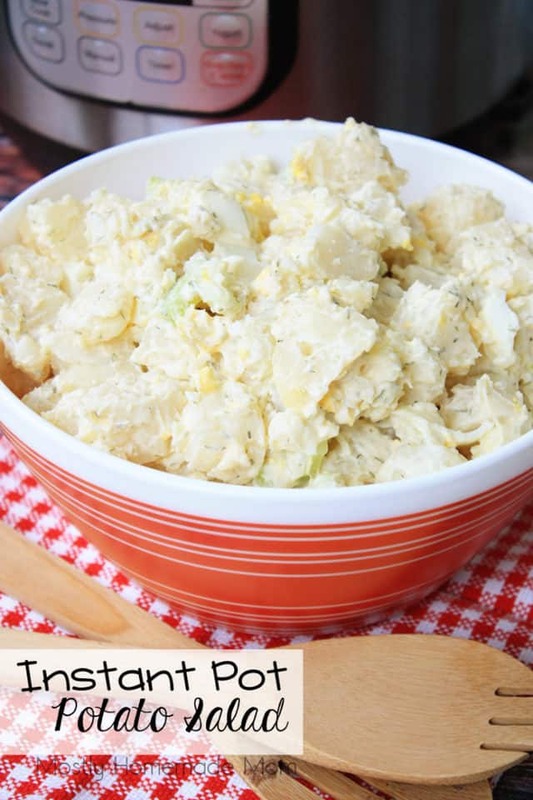 This Instant Pot Potato Salad is ready in under 30 minutes from start to finish! Perfect for spring and summer BBQs! 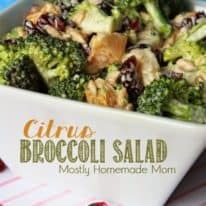 So, I’ve been seeing post after post from some of my favorite fellow food bloggers with their Instant Pot recipes popping up on my Pinterest feed. I pretty much ignored it through Thanksgiving and Christmas, but then the craziness of life started back when the kids went back to school. My menu planning started slipping and we started eating out again on a weekly basis. This happened for a variety of reasons, but one of the main reason we were being tempted to eat out was the fact that my energy is shot by dinner time. Working at home. Getting the kids ready for school, lunches packed, dropping them off, picking them up. Taking care of Reuben, cleaning the house, then driving kids to sports. I’m just DONE at dinner time! I was tempted to try an Instant Pot (*my affiliate link) with how crazy fast everyone says it takes to cook dinner. Frozen solid chicken breasts to cooked in 10 minutes? I mean really – that’s craziness! I broke down and bought one, both for my own curiosity, and also for possibly developing recipes with those of you that have one, too. The first dinner I tried was with those frozen chicken breasts, spaghetti sauce, and raw spaghetti. I kid you not, dinner was served on plates about 15-20 minutes later! I’ve had it for about 2 months now and I’ve used it for a few dinners, hard boiled eggs, and steamed rice – I’M IN LOVE you guys! 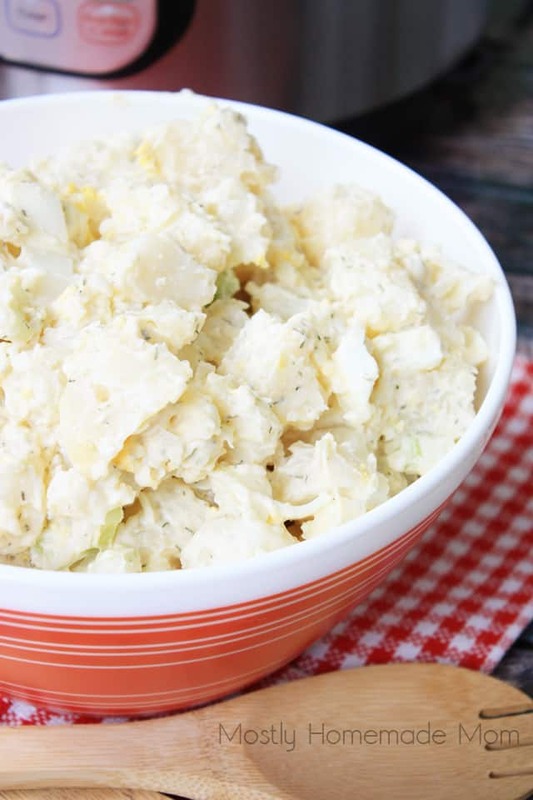 If you have an Instant Pot, you absolutely need to keep this potato salad recipe handy. I will warn you, the cook time on the potatoes will vary depending on how large they are. If you lift the lid and they aren’t completely done, just seal it up again and set it for another 2 minutes – they’ll be perfect! 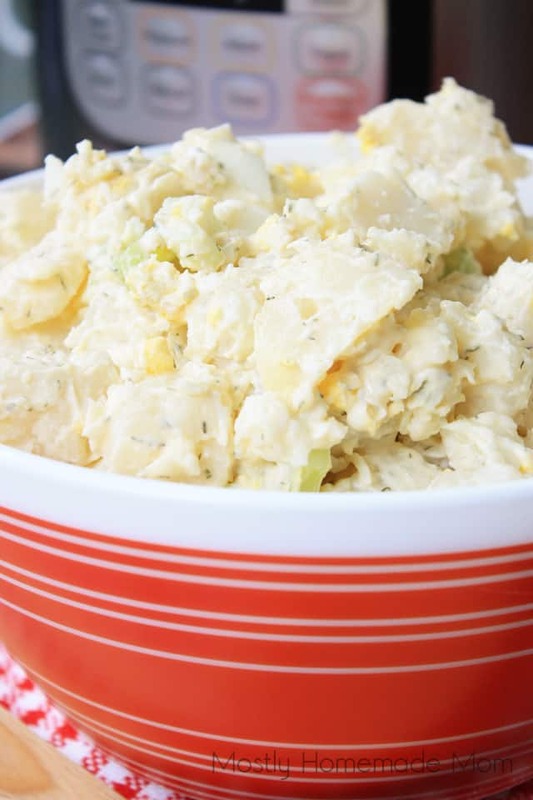 A potato salad recipe using an Instant Pot pressure cooker with hard boiled egg, mayonnaise, celery, and russet potatoes. 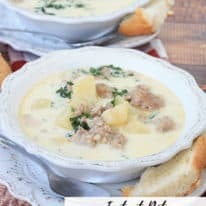 Wash potatoes and place them in the Instant Pot (*my affiliate link). Add 1 cup of water. Set the valve on the lid to “sealing”, hit the “Manual” button and select 10 minutes. When Instant Pot is done, quickly release pressure and see if potatoes are easily pierced with a fork. If not, pressure cook for another two minutes. When potatoes are cool, peel and chop into large pieces. Place potatoes in a large mixing bowl. Add in celery and onion. In a separate bowl, whisk together mayonnaise, chopped egg, and dill. Gently stir into potatoes in bowl. Add more mayonnaise if desired. Add salt and pepper to taste. Cover and refrigerate 15 minutes or until ready to serve. 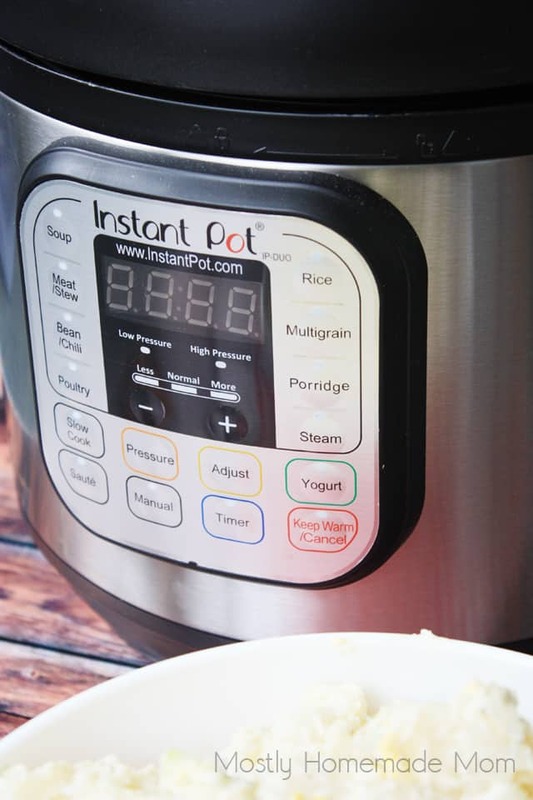 If you have an Instant Pot, what do you like to cook in it on a regular basis? Leave your comments below – I’d love to try some of your ideas, too!